Alright. There's some life-or-death in Life is Strange. Life is Thrones? Game of Strange? I don't care what you call it, but playing both playing two very different adventure games is an... interesting experience. 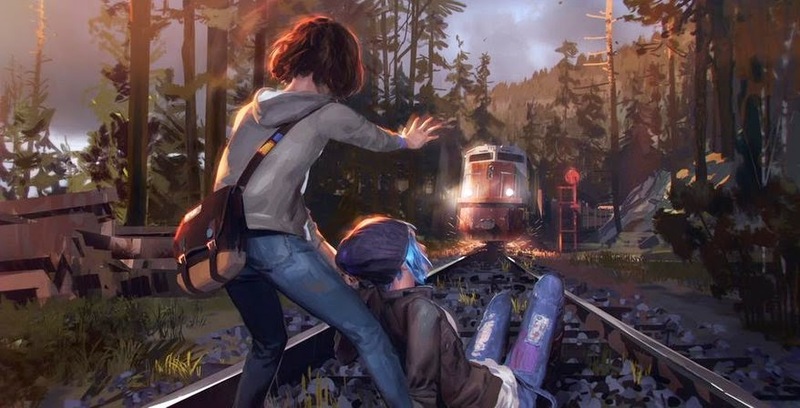 There are a lot of conversations about Game of Thrones, one of which Scott and I just posted yesterday, but I don't think Life is Strange is getting as much attention as it deserves. This is partly because the decisions you make in Game of Thrones are appropriately BIG. It is Westeros after all. Meanwhile, the world of Life is Strange is our own, and the pacific northwest atmosphere has more in common with Gone Home than anything Telltale has created. Even so, there's a remarkable subtly in Life is Strange that I really appreciate. Rewinding time to be perfect, to say the right thing, is such a human desire, a social fantasy. Even so, with the power to intervene comes a feeling of obligation (yes, responsibility), and this is stressful, even overwhelming. How much should Max intervene in the lives of others? How much is she willing to sacrifice to help her friends? This is not the high-stakes live-or-die scenario of Game of Thrones, but the tension rises nonetheless. Slight tangent, the work of the Geek Remix channel on YouTube does a pretty great job of exploring some of the game's surprising depth. I love fan speculation in general, so to see a close reading of Life is Strange is a treat. Games featuring young women in trouble because of viral videos rarely make the YouTube rounds y'know. The fact I can go from kicking a guy off a 700 foot wall to watering my dorm room plant in the same genre I find deeply satisfying.